Dont skimp on the fillings. 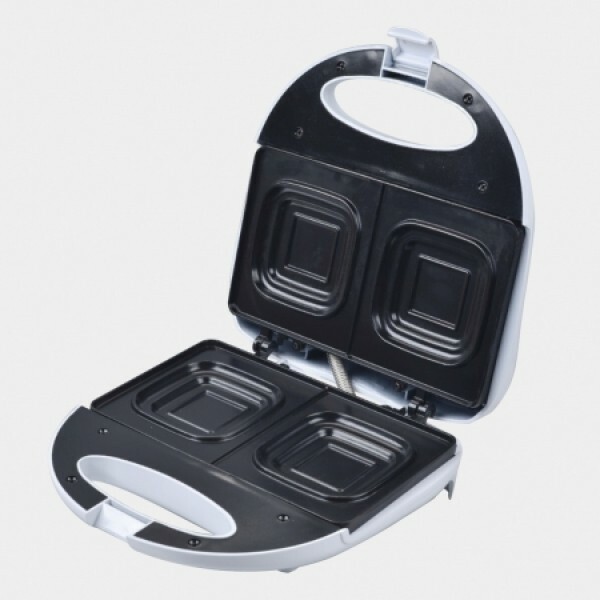 Add lots to your sandwiches with the Maxim Deep Dish Sandwhich Maker! Every now and again it's nice to indulge on your favourite foods. The Maxim Deep Dish Sandwhich maker lets you do just that. Combine your favourite ingredients (and lots of them), and make yourself a delicious toasty! The deep dish allows you to add layers of extra fillings and will cook them to perfection. Once you've finished making your toasty, the non stick cooking plates only need a quick wipe down to clean. Perfect! Sandwiches - savoury and sweet. Eggs on toast, Sweet pies and more! . Top and bottom non stick toasting plates. Toasts two sandwiches at a time or just one if desired..
Lockable lid for upright storage.